hydrostatic tests, use two independent pressure gauges. 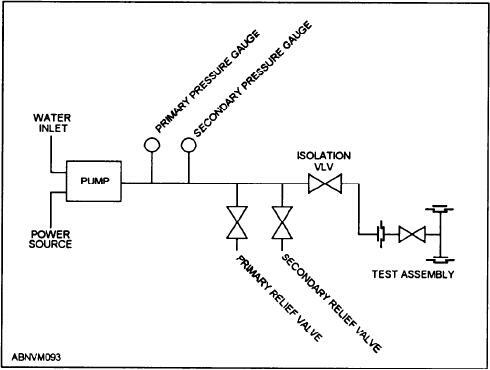 test pressure throughout the test. the operator protection in event of component failure. NAVSEA OD 54845, Metrology Requirements List. pressure and water volume to the system being tested. rated in gallons per minute. Figure 11-22.--Hydrostatic test equipment and set up.